If you experience clients who have not been able to ever connect to direct access, it may be because the initial GPO for Direct Access was never processed 100% successfully. Please perform these troubleshooting steps. This means IPV6 has not been enabled, to fix this, open the registry and change this value to 0. Scroll to “Network Adaptors” and click Next, wait. 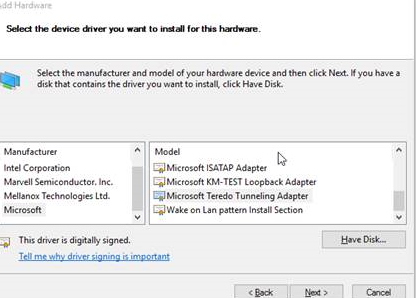 Select Microsoft/Microsoft Teredo Tunneling Adaptor and install. 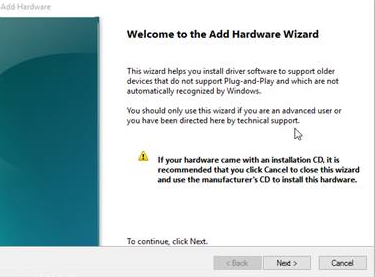 Reboot and test direct access again, it should now work.